the techtonic plates are always on the move on our changing planet and The United States Geological Survey estimates that there are around 50 earthquakes per day in the world that can be located. Many earthquakes are undetected by the USGS; in fact, the organization estimates that around several million earthquakes occur around the globe annually. The estimate for Southern California alone is around 10,000 a year but obviously most are so slight that they go undetected. Theses earthquakes are a natural part of the endless shifting of the techtonic plates as our planet changes shape and climate constantly. There are periods when the climate warms up and when it cools down and we are able to discern some 29 separate ice ages all of which gave rise tjho periods of global warming to melt the ice. We still have very little idea what causes the periods of climate change but at one stage in our planets history it is believed that it rained constantly for somewhere between 10, 000 and 100,000 years! It does seem that in an era of credit and politicians borrowing huge amounts of money it has become expedient to use climate change as a weapon to levy ever more taxes and introduce job creation schemes on the back of blaming mankind for the climate changes that have always been a part of life on earth and even before life emerged on our rock as it hurtled through space. Job creation schemes like the scam surrounding the utterly corrupt wind turbine idiocy and the laying down 1,000s of acres of solar panels on green field sites when there are literally millions of acres of factory and industrial rooves and sites idealy suited to solar panely. In fact why not wait the short period unti Si, SI or Psi Technology comes into its own. Sorry you will have a problem tracking this newly emerging technology on even Google as it is buried in secrecy as Countries and the multi Billionaires compete for patents and developement of this burgeoning technology first identified by Nikola Tesla and confirmed but never proven by Einstein! The potential is literal;ly unimaginable and once it gets underway or world will change rapidly as carbon fuels become just a footnote in history and even nuclear fuel as we know it will rapidly become just a history stepping stone in the late industrial era lesson in schools – I will try to pull more of this together, when I can find the time and publish on this site. Then return and consider just how insignificant those Millions of earthquakes are per annum, as you ponder the global maps below. 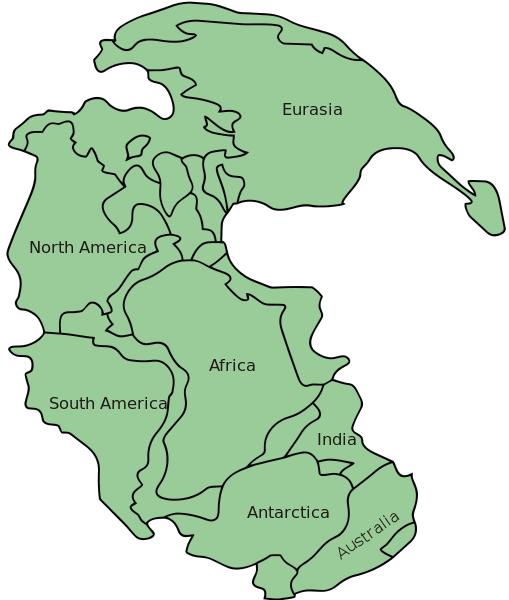 Once upon a time, the world as we know it was pretty much one big continent, where Eurasia, North America, South America, Africa, India, Antarctica and Australia were all fused as one. 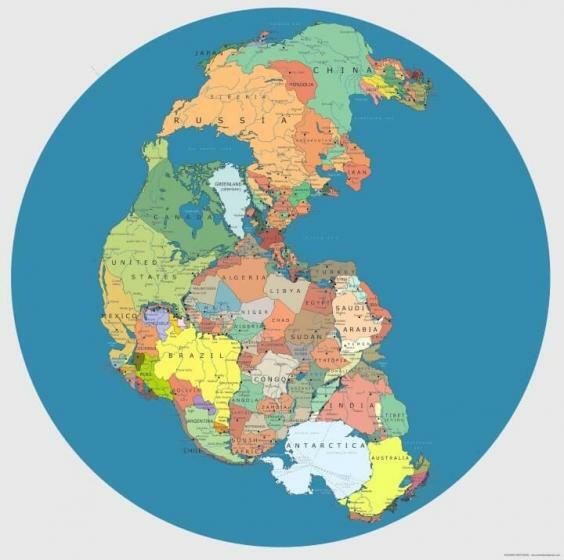 It’s believed that it assembled from earlier continental units approximately 335 million years ago and began to break up about 175 million years ago – and was mostly situated in the southern hemisphere. 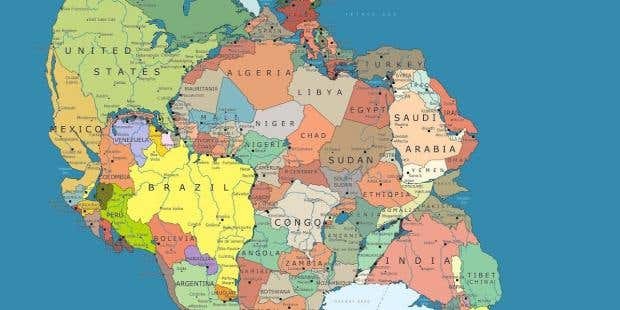 Now an artist, Massimo Pietrobon has created a map with modern political borders – and it’s not what you’d expect. Tibet isn’t attached to China anymore, but Australia. 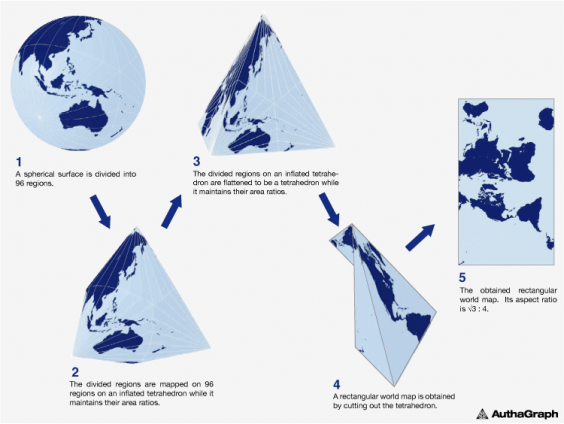 Japanese architect Hajime Narukawa claims to have tackled a centuries-old problem – how to draw an oblate spheroid Earth on a flat plane. The projection, first created in 1999, frames the world’s physical components in a 2D rectangle, attempting to represent their relative sizes as accurately as possible. Unlike the traditional Mercator map, made in the 16th century, which overstates the size of northern areas like Greenland and minimizes that of central areas like Africa, the AuthaGraph World Map retains parity of area to a 3D projection. The projection recently won the 2016 good design grand award in Japan, an awards evening founded in 1957 by the Japanese ministry of international trade and industry. You can buy a globe version of the map, which you can dismantle, from Alexcious, though they will set you back roughly £40. You may be interested to realise that we know more about the surface of the moon than we know of our own planet, having never explored photographed or mapped in detail much of the planet – particularly the ocean depths, nor have we much idea of what drives our climate, beyond the reallisation that its temperature is so utterly dependent on the sun and its phases! It has always fascinated me when one considers that the sun’s heat is estimated to equate with a one kilowatt fire on every square yard of the planet!